“It’s Friday night and I’m sitting here.” I tap out the words in my cell-phone notes. A meager attempt at my next article, this article. But this is as far as I get. Not one word more. Frontier Airlines flight F9 170 bound for Philadelphia, Pennsylvania. That’s where I am, sitting in an aisle seat, shivering. Sure, I have a nice, warm full zip tucked inside my pack, but that is stashed in an overhead luggage compartment several rows behind me. Not wanting to cause a raucous going on an airplane scavenger hunt, I simply pull my arms inside my t-shirt and shiver. A while later I cave. Reaching into the garment bag hanging at my feet, I pull out my rarely warn suit jacket and put it on. I’m not much for suits, I only have it with me because I’m going to a wedding. But in my feverish state, I’m thankful for it. It is no puffy jacket, but it’s better than nothing. Still cold, I drape the remaining garment bag over my legs and wait. I wait for landing, for warmth, for Philly, for Lancaster, for home. I think back over the past few months. I think about how they are so similar to my current situation. Sick on an airplane. It isn’t fun. Cramped and cold with a head that feels like it is about to implode (or explode). All you want to do is escape. To be free of that torturous space and state of being. You know exactly what you want, and yet it eludes you. You cannot just open a door and walk away. Like it or not you have to ride it out. You have to be patient. I have been aboard the patience train for quite some time now. But to clarify, I’m not even sure it’s a patience train. Perhaps that is what it’s supposed to be, but it feels a bit more like a “I know what you want but you can’t have it yet” train. A “You need to sit here and learn” train. A “There is a blessing in disguise here that you can’t quite see” train. A “You fear this is the end, but really it’s just the beginning” train. The train started around March. I was running down Barr Trail one day when my foot struck the ice and kept right on going. As my left foot flew forward, the rest of me jerked backward and to the right. I stayed on my feet, but I felt it the instant it happened, a sudden sensation of discomfort in my low back. Ooooh, that might be a problem, is what I thought to myself. Over the next few days of training, my thought manifested itself in an array of limps and compromised strides. At first I tried to train through it. I’ve limped and grimaced my way through a multitude of niggles over the years. Most times it’s worked. I hoped for the same. After about a week or so of grimacing and a stern talking to from my good physical-therapist friend Neil McDonagh, I took some rest days. Real rest days. As in no running. Yeah, I didn’t like it too much. After a mere five weeks, which in some ways felt like an eternity, I finally started to make some good progress. The smallest of runs seemed like the greatest victories. As time passed the runs lengthened, my stride improved, and fitness returned. And then, just as I was picking up steam, I caught a nasty stomach bug. Sure, I’ve had worse, and this one didn’t stop me from running, but for a few days it made my early morning training sessions quite grueling. In the grand scheme of things it wasn’t all that bad and passed soon enough, but still, it was a challenge. Fast forward a few weeks and I’m heading into a proper week of training. It wasn’t flawless, as the back still wasn’t 100%, but overall the training was good. And then, as if out of nowhere, I came down with the very cold that has me shivering my way back to Pennsylvania. Again, it’s not the end of the world. It’s just a little sickness. Still, it’s frustrating, it’s uncomfortable, and I want it to go away. When it comes to training, I’m used to things going fairly swimmingly. I have had very few injuries over the years, and recently, very little sickness as well. And so, I can’t really complain about any of these setbacks. But, at the same time, my good fortune also makes this a difficult time for me. Yet I believe that there is a bit of good in just about anything. So where is the good in this? Perhaps it is in the aspect of rest. Ultrarunning can be a very brutal sport. We push and pull and strain. We go higher, faster, longer, and farther. We set a goal and achieve it, or miss it, and then reach for the next one. At times this can be good, but without rest it leaves us burnt out, washed up, and stale. Training without rest is like food without salt. It’s bland. It’s plain. It’s less than what it should be. And so, as difficult as it is to rest, I do so knowing that rest, just like hard workouts, bring great things. As important as rest is, and as relevant a lesson, I feel that the last few months have also been teaching a lesson of patience. So often in life, we want things as fast as possible. We want what we want when we want it. We live in a world of fast cars, fast food, fast internet, and inherently, fast people. We want to run ALL the races and chase all the rabbits… at the same time. We have a bird in our hand and yet we reach for the two in the bush, losing everything in the process. At times our ambitions can be good, but we must be very mindful not to let our impatience get the best of us. Thinking upon this, I’m reminded of a concept taught to me years ago by my good friend Amos King. “Delayed gratification” was what he called it. It’s the idea that sometimes there is something that you really want, but it’s not the right time for you to have it. And so, you bide your time. Your desire can still be there, but instead of giving into it, you wait for the right moment. Perhaps it is a race you really want to run, or a training volume you want to achieve. Don’t rush it just because you want it. Sure, if the timing is good and the opportunity is there, it may be time to go for it. However, don’t be afraid to bide your time. Listening to your body and biding your time can be a difficult thing to do in the world of ultrarunning. After all, we don’t even really have an off season. We bounce from one race to the next, chasing goals that oftentimes can’t keep pace with the grueling schedules we’ve arranged for ourselves. Sure, some do find a way to manage themselves wisely. They carve out an ‘off season,’ take time to rest, and make reasonable, well-thought-out race schedules. Far too often, however, athletes seem to chase unsustainable schedules that lead them into a deep, dark whole of burnout, injury, and fatigue. Many of us know the dangers of doing too much, and yet we do it anyway. But why? If we’re such smart beings, why do we do what we know we shouldn’t? Personally, I think the answer to this is not straightforward. For some, there can be pressure from sponsors. For others, the pressure comes from the qualifying standards set by race directors. In an attempt to obtain qualifying times, performances, points, and more, runners bounce from one race to the next until they are so burnt out that there is nothing left for the race they were actually trying to qualify for. And for others, the pressure comes as they chase awards and accolades. Sure, obtaining a title such as ‘Ultrarunner of the Year’ is great, but I don’t think it’s everything. For me, I don’t want to be ‘Ultrarunner of the Year’ if it means being ‘Ultrarunner for a Year.’ Instead, I want to be ‘Ultrarunner for Many Years,’ not burnt out and washed up. I don’t want to criticize people for winning ‘Ultrarunner of the Year’ or some other sort of accolade. Perhaps some people can chase aggressive schedules, win, and do it without burning out. I too push myself very hard at times. Sometimes I probably push myself a bit harder than I should. And so, from one hard-pushing, pressure-feeling, imperfect, vulnerable runner to the next, I want to encourage people to practice sustainable running and training practices. For me, creating a sustainable running environment is largely a matter of choosing races wisely. As many know, I have some very special opportunities at my feet. This year I was presented with the chance to run both Hardrock and UTMB. Both 100 miles. Both incredibly tough. Both separated by seven weeks. Do I take them just because they are there and may never be again? Or, do I step back, and take a broader, more patient look at things? Do I dare to question what is best for my health and long-term well-being, and then make my decision accordingly? As hard as this can be, I think it is an important lesson to learn. Sure, sometimes in life we will do things that don’t make sense, and that may very well be a good decision. Not everything needs to make sense. When it comes to the big, important decisions, we must remember that sometimes patience is a hard rock to carry, but at times, the foundation of our success. Do you consider yourself a patient person? Do you have enough of it to sustain yourself in our fast-paced society, including in our trail culture? When was the last time you were impatient and it didn’t benefit you? And how about a time where pulling the trigger early actually worked out okay if not amazing? Great article, Zach! Very smart decision on HR and UTMB. I struggled with the exact same feeling of lost opportunities when I took on both races last year. But I didn’t have the honest introspect that you seem to have. As it turns out, an eventual drop at mile 87 of UTMB left me feeling empty, and ultimately soured an otherwise amazing experience at HR. I would have preferred, in hindsight, to simply enjoy the massive undertaking that is HR and patiently wait for the right time to pursue UTMB. Keep the articles coming! People always say there’s a silver lining to injury. I hate that saying as much as anyone, but the patience injury teaches is invaluable – not just in training, but in life. Impatience caused me to turn a 3 month injury into a 9 month injury, but I had to learn the hard way. Love your attitude about sustainability and about smart choices. It’ll serve you well. Thanks for sharing! Ego. We care about what other people think. We think we have to appear a certain way or do a certain thing, to appear like we are strong and unstoppable. Great article, Zach! It left me wondering, though: what did you decide about UTMB & Hardrock? There might be a hint in the title of the article? 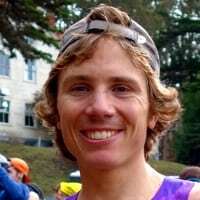 Zach, Good luck with whatever race you decide to take on, I had the pleasure of watching you fight to the finish of UTMB last year, you run with all out passion and guts. Top man. Thank for this article Zach and your wisdom. I’ve been injured and sick often this year as well; I can relate in that having the patience to resist getting back at it too soon is an ongoing challenge. Another facet that I have experienced is that “absence has made my heart grow fonder”. Time away from the trails has made me even hungrier to get back at it once healed, and I think I’ll appreciate it more and not take being healthy for granted in the future. Nice post, and some smart thinking. I know a few of those trains well. Having this perspective now can save you so much heartache later, and keep you running – competitively or not – for much longer in life, with all the health and well-being benefits, and the joy/fun that can so easily be smudged or eradicated by ego/”getting greedy”. Sometimes big reaches and leaps are good, sometimes not so much. The trick is trying to figure it out before doing it rather than re-learning (or re-experiencing perhaps, maybe not learning) the same lesson over and over. Sometimes the universe has to whack us with the same stick a few times before we “get it”. Most MDs will tell you to “stop running” when you are injured. However, for many injuries it is OK to keep running just do it in a way that doesn’t hurt or does no further damage. Zach’s injury may have been severe if he had herniated a disc. Most injuries are connective tissue related and usually get better. It is often difficult to tell the difference between an injury potentially becoming chronic and one that will go away when you keep training. The former requires more rest. Perfect timing for me, Zach. I hope our delayed gratification turns out what we want it to be! Thanks for this! He is not on the entrants list for Hardrock.